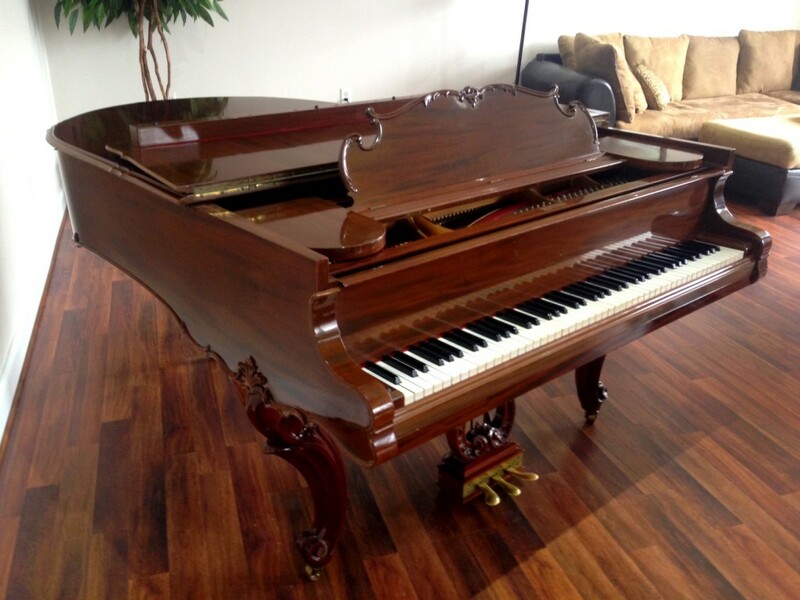 Louis XV Steinway O | Deposit! Rare Louis XV Model O manufactured in 1906 – New York. The elegance of 18th-century France is captured in this delicately hand-carved instrument made of beautiful mahogany wood in the Louis XV carved style, including the legs and molding. 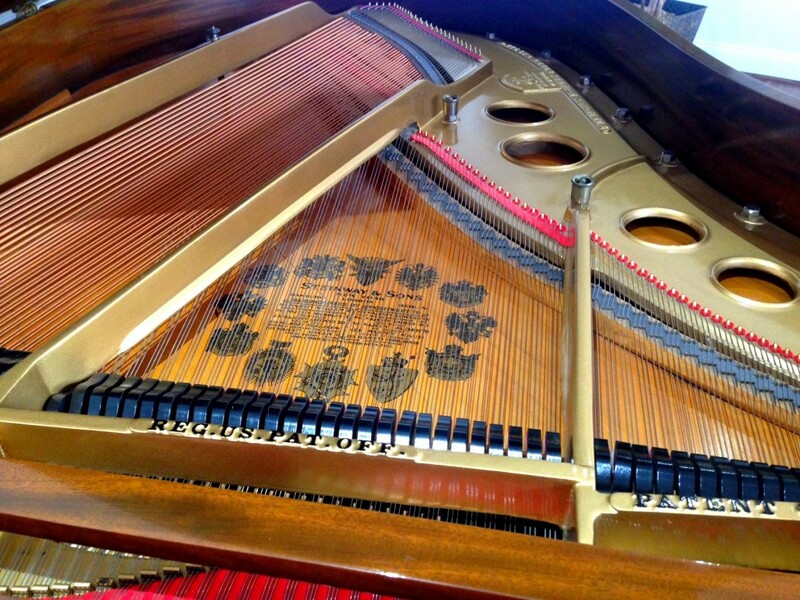 Even the top lid of the piano is scalloped in beautiful detail. 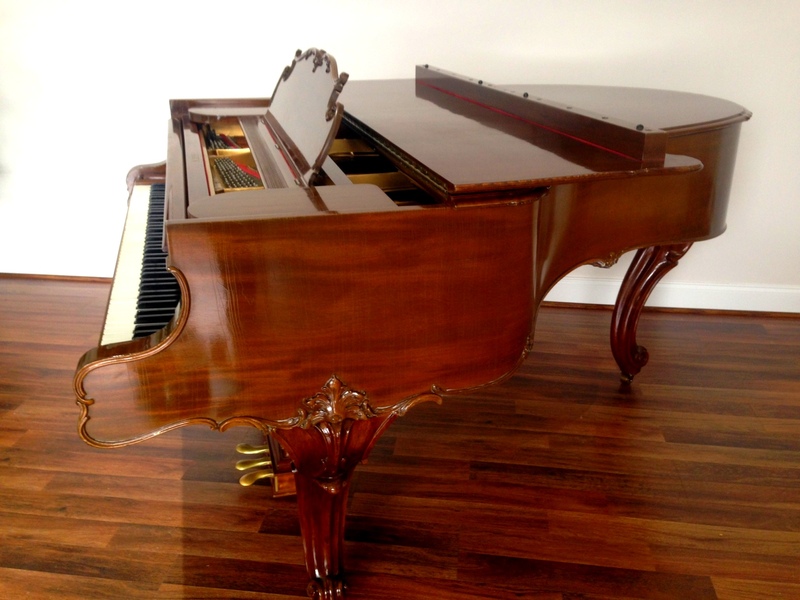 About: Restored with all Genuine Steinway Parts (1991). Includes matching wood-top bench.